Ultimately the unique fiber setting allows you to style hair extensions, wigs and hair pieces without damaging the synthetic fibers. No doubt it is – ‘a world first in the hair industry’, as mentioned by the editors of British Vogue. Meanwhile The Wonder styler is trending in the latest hair industry. Presently you only have to look at what the beauty editors are saying about the WonderStyler. However from Vogue, Black Hair and Beauty, Look, Woman, More, U magazine, Tribute, That's life, Real people, PureBeauty, Hair magazine and Professional Hairdresser are all talking about the wondrous WonderStyler from Doll. Consequently, I are very impressed with the anti-tugging technology within these straighteners. Of corse it has titanium technology to fight frizz. Also the polished floating titanium plates glide through hair whilst decreasing static electricity in the hair. In addition this provides a smooth, shiny, elegant finish, helping to maintain moisture and hair color. Next the LCD screen will display "FBR", (FIBRE setting) this provides total confidence that whilst styling synthetic hair of all types, no damage will occur to synthetic fibre. However with this setting it means that you can look after any synthetic hair you have invested in. Therefore as we all know the majority of these will be expensive to buy. These will also be unique to your individual needs.We also understand how important it is to keep them looking healthy. The individual features of these straighteners just keep pilling in, they have a very unique setting where you can set them to automatically turn off anywhere between 1 minute and 120 minutes. Furthermore this is a very useful feature to have so that you are always considering safety. Its great as you never have to have the worry of ‘have I left my straighteners on’. In my opinion Safety is a very important factor to consider. Having a 3-meter swivel cord also eliminates any problems associated with the cord getting tangled or twisted allowing maximum freedom of movement and reach. Therefor there is no need to wait for your straighteners to cool down as these come with a heat resistant doll travel bag. In addition the Doll WonderStyler comes with a heat resistant travel bag that you can use to safely wrap-up and take away your WonderStyler whilst travelling. 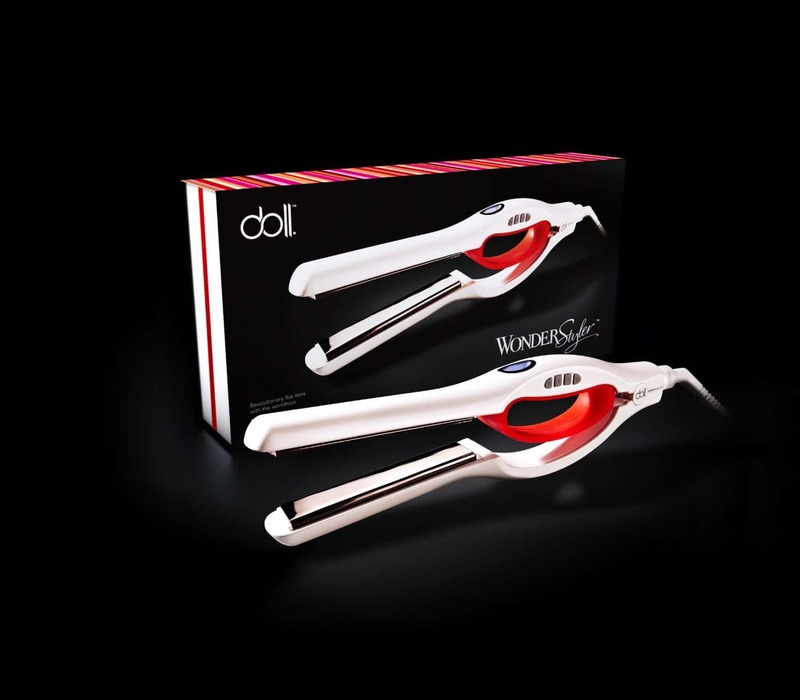 The Salon professional WonderStyler's individual DollGrip, polished floating titanium plates and variable temperature control make it easy to use and give you complete control. Also the design of the Doll WonderStyler stands out straight away. Furthermore it comes in a high-gloss white finish that gives it a very professional finish. Moreover this ground-breaking flat iron features the wondrous DollGrip, a handle built into the styler to give you definitive control. Therefore making the process of achieving lustrous, silky, fabulous locks a whole lot easier. As well as keeping delicate hands and fingers away from the hot plates. Above all not only does this individual feature think about your safety but also about the time spent styling your hair. Ultimately you won’t need to keep putting down your flat irons to section your hair. Of corse you have the freedom to keep hold of them the whole time throughout which speeds your styling time. 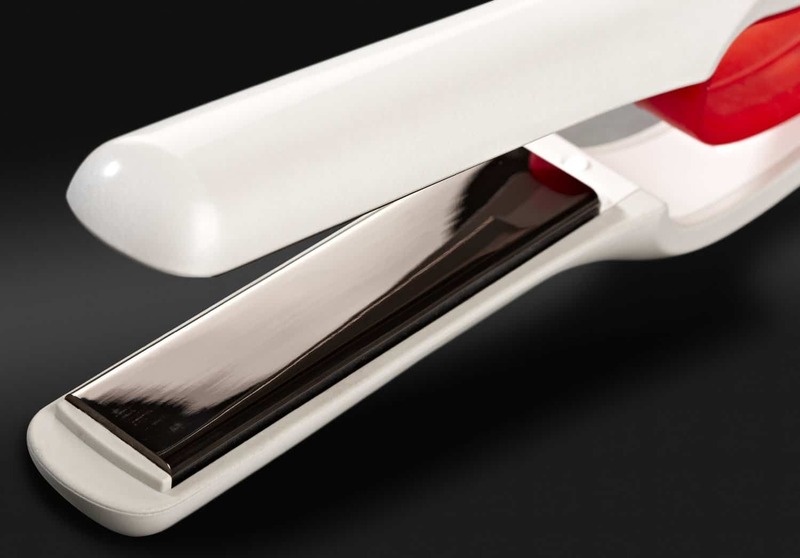 In addition all other hair straightener similar, have to be held and gripped at the same time, whilst styling your hair. The DollGrip is designed to rest in your hand allowing comfort of use whilst styling all of your hair. 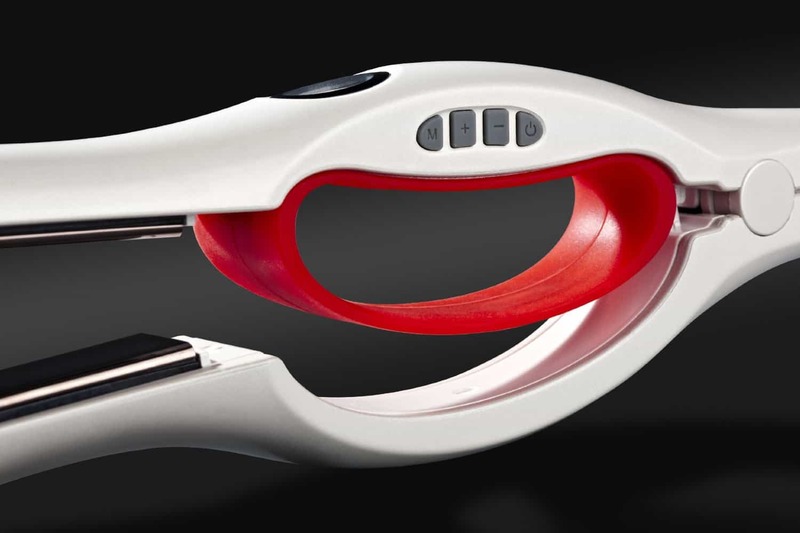 Finally you don’t need to think about gripping the WonderStyler whilst opening and closing the plates to grip the section of hair your about to straightener or style. In conclusion the DollGrip allows you total freedom of movement during the styling of your hair. Only light pressure from your thumb is required. Above all you can choose the exact temperature required for your styling needs. With soft push button temperature control, degree by degree, up to a maximum 230C/446F. Meanwhile by choosing the correct temperature for your hair type you can help you maintain both moisture and protein within the hair. Therefore the Doll recommends 150-180 for fine hair, 180-200 for medium hair and 200-230 for coarse, thick hair. Also just remember if you going to use the hair straighteners on your hair extensions to turn on the FBR mode on the settings. 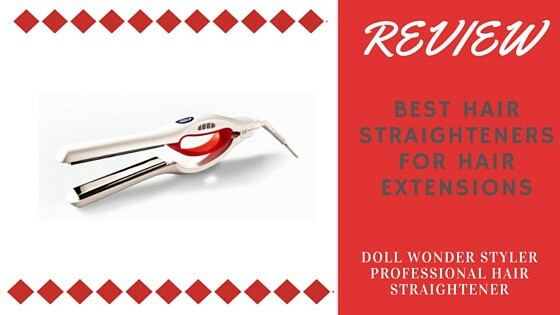 I love these straighteners, they get hot quickly and go smoothly over your hair and doesn't pull any stray hair. The design of the handle is great, you have better grip to go over your hair and you can't burn your fingers, I have long hair so this helps a lot! Last but not least the price, these straighteners are reasonably on the higher end of the price scale and also on amazon are currently £111 down from £150 which is a great offer. Furthermore although they are not cheap with all the features they often compared to other straighteners there worth spending that little bit extra, to make sure you are safe and you are looking after your synthetic hair. In conclusion with the unique features the WonderStyler offers, we think these are well worth the price. Therefore having a pair of straighteners that are keeping your extensions healthy is a very unique feature to hold and considering the doll grip, the FBR setting, the variable temperature settings you are really getting your money’s worth. Why not give them a go? Can anyone help please? I wear wigs due to hair loss. I got these as they said they had a fibre setting, but I cannot figure out how to get this setting? When I turn them on they display FBA for normal hair.